CSAS/Pro Ad Valorem is a complete package for tracking Ad Valorem taxes and other associated charges such as penalty and interest. With the CSAS/Pro Ad Valorem package you can print tax bills, record payments and track unpaid accounts. 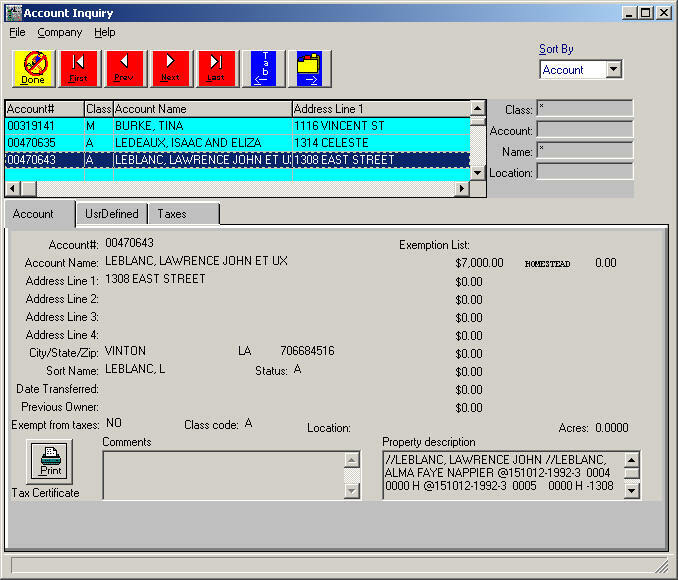 The tax bills can be easily adapted to existing bills because the tax bill format is driven from a user-defined form format. Interest and penalty are calculated each month for unpaid taxes from the interest and penalty table which is setup by the user. For each account you can store name and address, property description, user-defined fields and unlimited tax bills for past years. 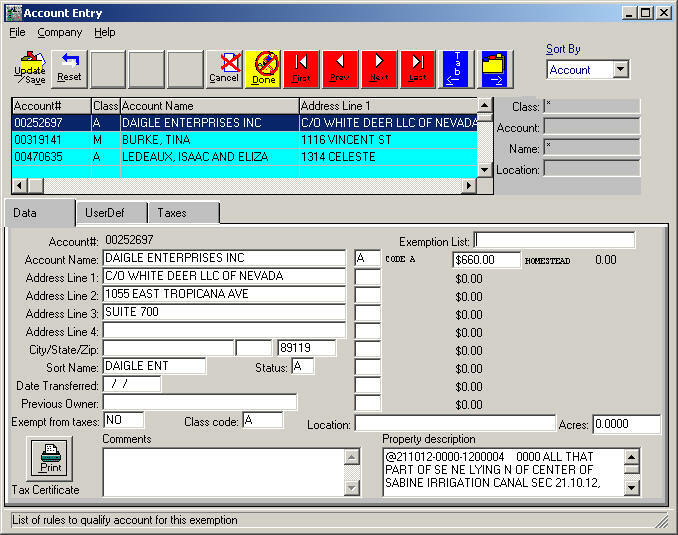 Bills can be reprinted at any time for delinquents using the multiple bill form formats. 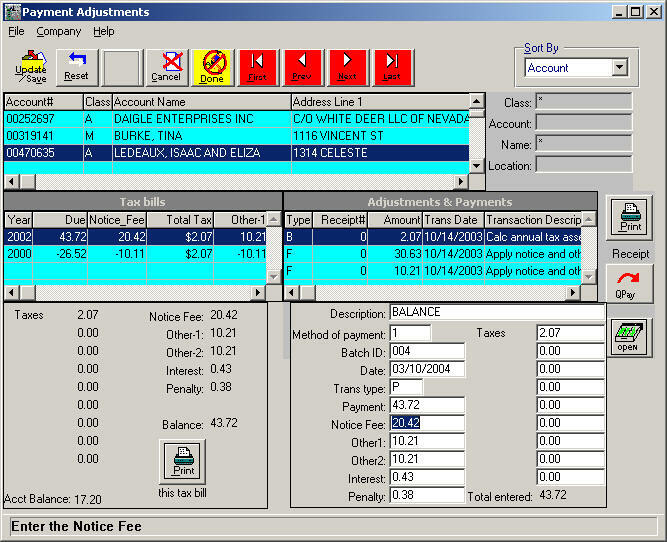 Accounts can be quickly and easily accessed for account information and tax balance inquires. Multiple taxing entities can be setup. For each taxing entity, you can setup 9 different taxes, 9 assessments, and 9 exemptions. A notice fee can be attached to each tax bills. Information from an external source such as the tax assessor's office may be imported to your system. Data within your system may be exported to other systems as well (import and export are optional features).